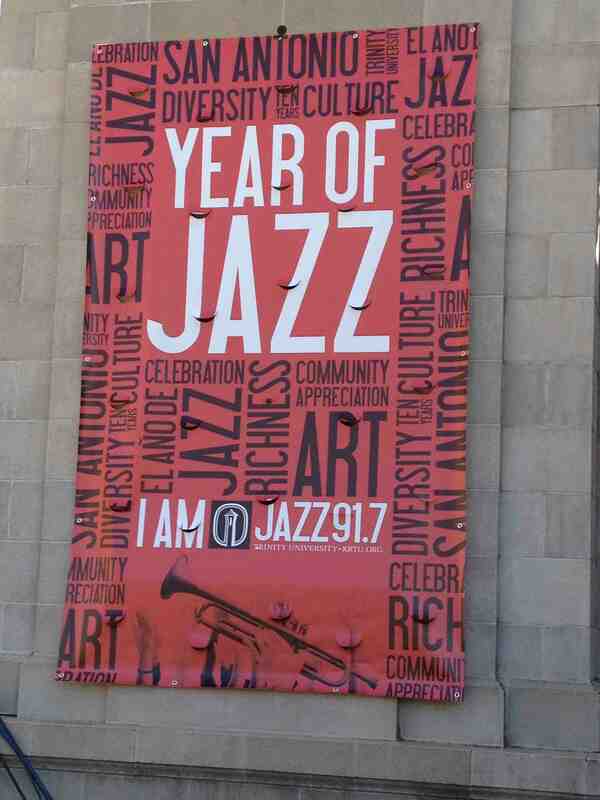 Banner for the launch of San Antonio's Year of Jazz. On October 22 I landed in San Antonio, Texas, to learn more about the city’s music scene and attend the launch of San Antonio’s Year of Jazz. This celebration marks Trinity University radio station KRTU’s 10th anniversary of airing a jazz-driven format and will feature one year of monthly jazz events at different city venues. (For a list of planned events and the schedule visit yearofjazz.org.) 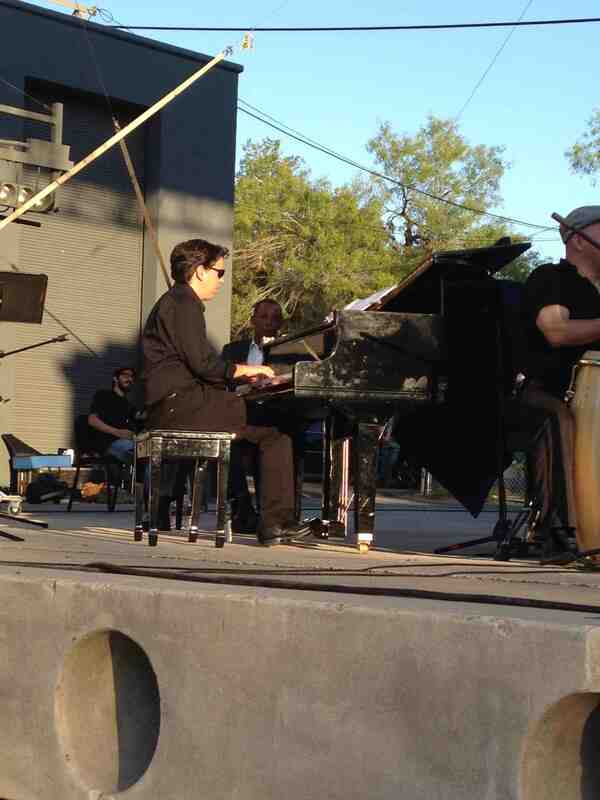 The launch, called “Sunday in Brackenridge Park: Jazz Family Showcase,” included a day full of family events and entertainment in a very beautiful setting. The pinnacle of the celebration was the premier of Aaron Prado’s San Antonio Jazz Suite performed by the King William Jazz Collective and narrated and introduced by former San Antonio Spur Sean Elliot. Following was a performance by the San Antonio Symphony Orchestra. 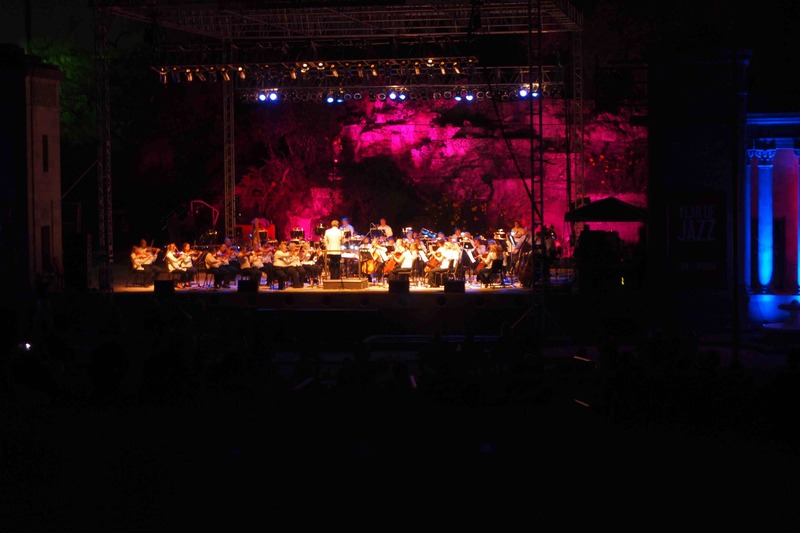 San Antonio Symphony in Breckenridge Park's Sunken Garden Theater. While in San Antonio I had the chance to take in plenty of other musical highlights in and around the city. On Sunday I had the pleasure of attending mariachi mass at Mission San José. This was really a special experience and I would encourage anyone visiting the city on a Sunday to attend a mariachi mass. San Antonio is known for its five missions—Concepción, San José, San Jaun, Espada, and of course, the Alamo. 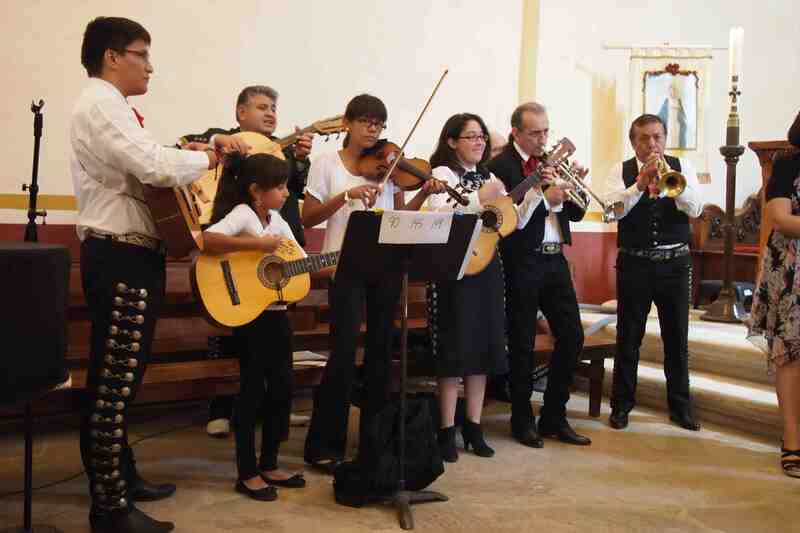 All but the Alamo offer mass on Sundays, but only Concepción and San José have mariachi mass. It truly was an uplifting, unique experience. Mariachi mass at Mission San José. Among interesting venues I visited were Carmens de la Calle Café, where I heard Austin drummer Brannen Temple play in a trio, and Jim Cullum’s Landing where I heard a jazz quartet with KRTU’s own Kory Cook on drums. The Jim Cullum Jazz Band performs Tuesday through Saturday nights at the Landing. Carmens de la Calle Café. About half-way between San Antonio and Austin is Gruene (pronounced green) Hall, which has live music seven days a week. 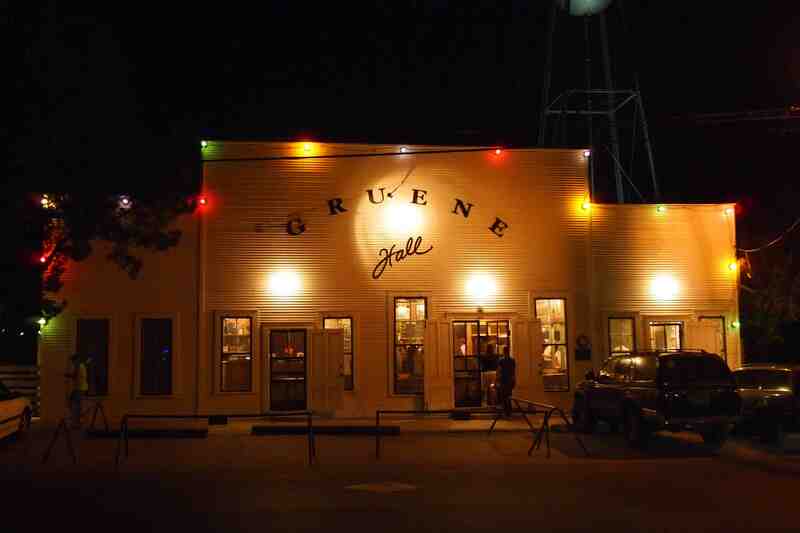 Built in 1878, Gruene Hall is the oldest continually running dance hall in Texas, and many great songwriters and musicians have graced its stage, including George Strait, Lyle Lovett, The Fabulous Thunderbirds, and Bruce and Charlie Robins. The venue features live, original music seven days a week. There wasn’t much dancing going on during the evening I was there, but I enjoyed Tuesday Night Song Swap, where Adam Carroll, Brian Keane, and Owen Temple shared their songs and humor. Gruene Hall, the oldest continuously running dance hall in Texas. 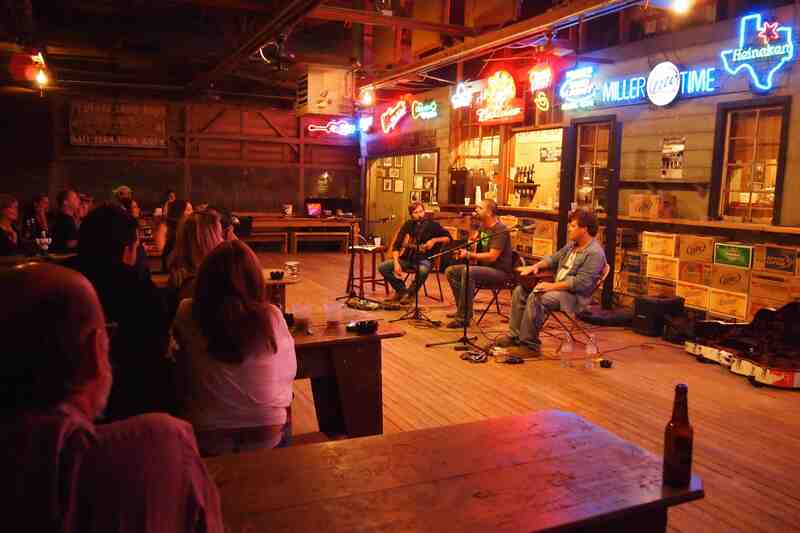 Owen Temple, Brian Keane, and Adam Carroll entertain during Thursday Night Song Swap at Gruene Hall. 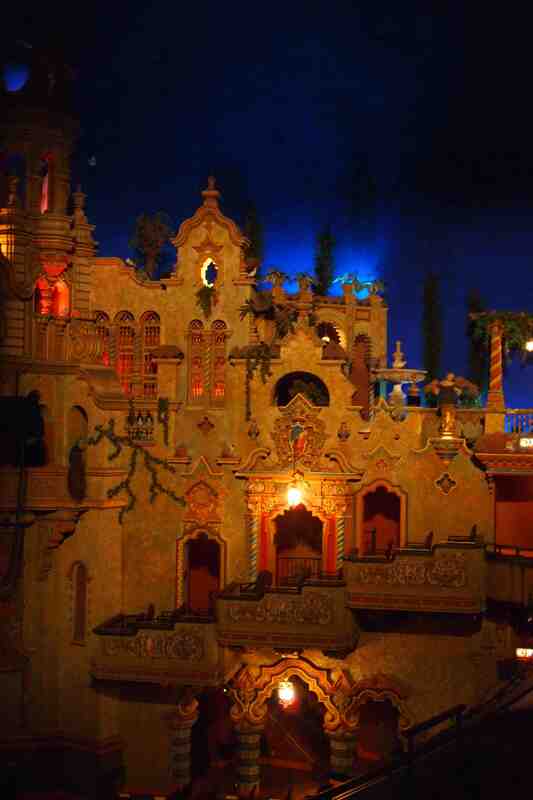 Other larger concert venues in San Antonio include the ornate Majestic Theater completed in 1929 and Arneson River Theatre, located in San Antonio’s oldest village, La Villita. At this picturesque little theater the stage and audience are separated by San Antonio’s River Walk, which runs through the center of the city. Inside the ornate Majestic Theater completed in 1929. 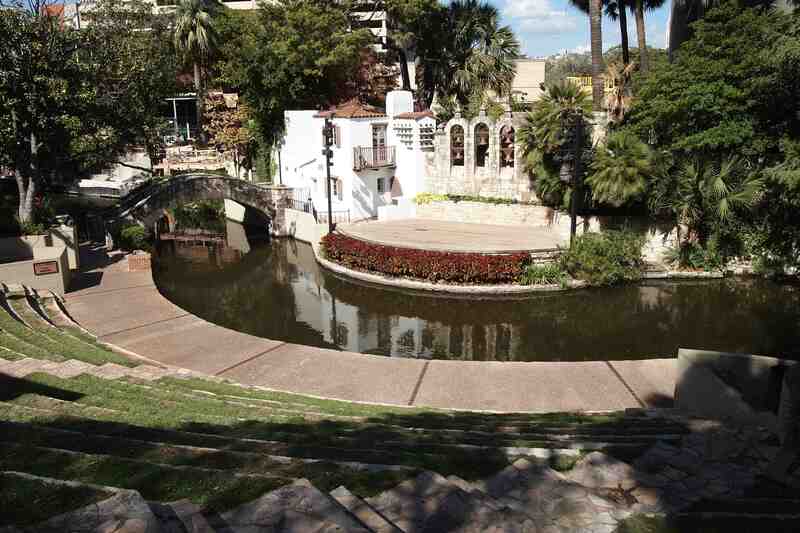 Arneson River Theatre, located in San Antonio’s oldest village, La Villita. During my visit, I discovered that San Antonio has a very rich cultural heritage and that the community works very hard to celebrate and preserve those traditions. JoAnne Andera, director of special events at the Institute of Texas Cultures showed me around the institute’s museum, which features, among many other noteworthy exhibits, displays of instruments brought to Texas by immigrants. She also told me all about the The Texas Folklife Festival, modeled after the Smithsonian’s Washington, D.C. Folklife Festival. The festival brings together different Texas ethnic groups to celebrate and share their music and traditions. Proceeds from the event are given back to the participating cultures so the customs continue to stay alive. The first Texas Folklife Festival was held in 1972, on the grounds of the Institute in HemisFair Park. In its 41st year, the 2012 Folklife Festival will be held June 8-10. 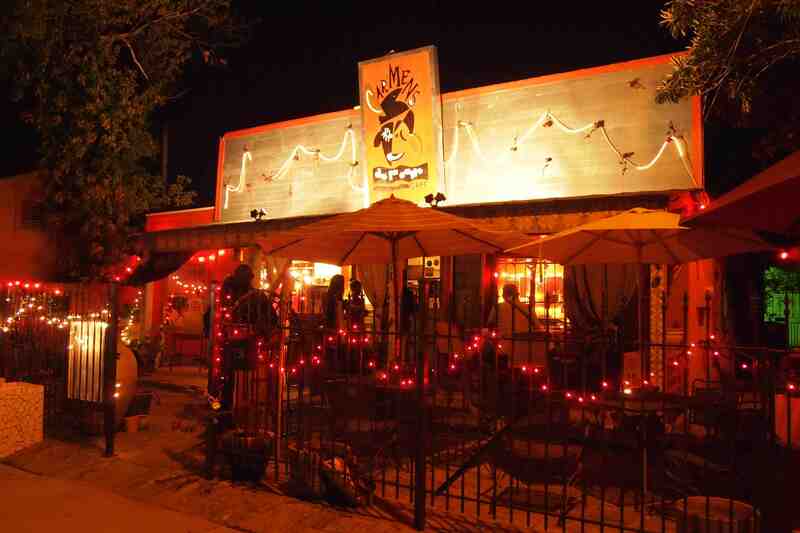 Guadalupe Cultural Arts Center, on San Antonio’s West side, preserves, promotes, and develops the arts and culture of Chicano, Latino, and Native American peoples in dance, literature, media arts, theater arts, visual arts, and Xicano music. On the east side of San Antonio, the Carver Community Cultural Center has a long history of supporting San Antonio’s African American community. It began as San Antonio’s black library and auditorium, and many famous jazz musicians who came to perform in the city jammed at the auditorium until the wee hours of the morning. Later, it was a staging center for civil rights protests. Today, its mission is to celebrate the diverse cultures of our world, nation and community, with emphasis on its African and African-American heritage, by providing artistic presentations, community outreach activities, and educational programs. 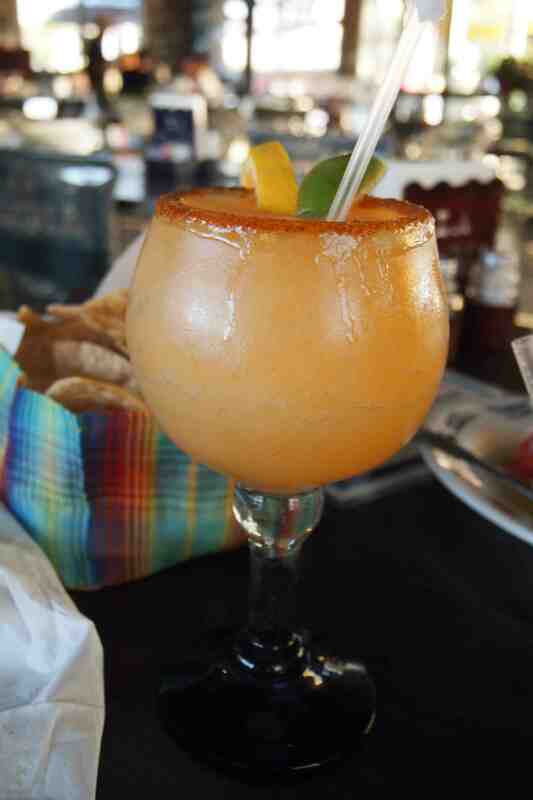 Chef Johnny's Tamarind Margarita at La Gloria Mexican restaurant. Finally, I would be remiss not to mention the fine food! There is practically every kind of food imaginable available in San Antonio, but of course the Mexican and Tex-Mex restaurants are superb. One restaurant that I particularly enjoyed was La Gloria, a Mexican restaurant specializing in the street foods of Mexico. Owner and chef, Johnny Hernandez, travels frequently on recipe seeking adventures into Mexico. The food and drinks were authentic, inventive, and delicious. Johnny clearly has a passion for his work!